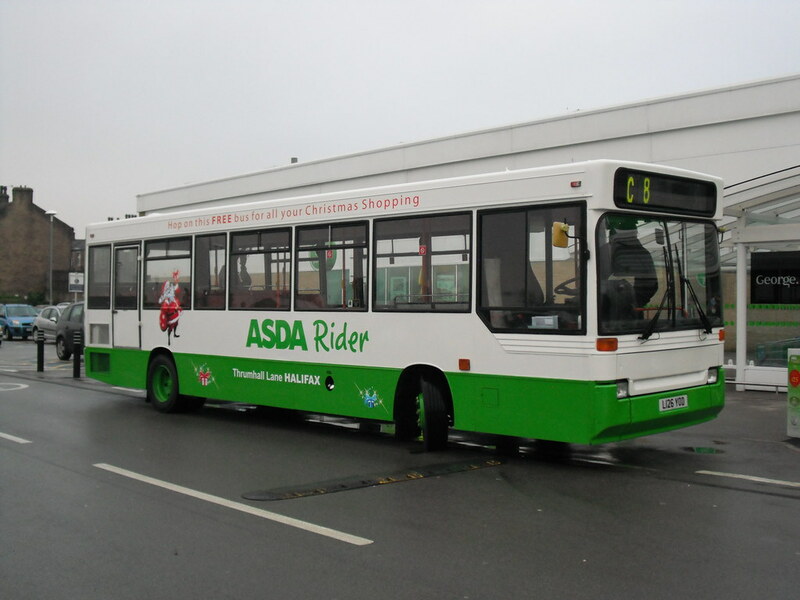 Creative Commons licensed flickr photo shared by Dannys Bus Photos Another Citybus Dart that is enjoying a further lease of life elsehwre is L126YOD with Halifax Joint Committee where it is seen in a nice fresh Asda livery in November. 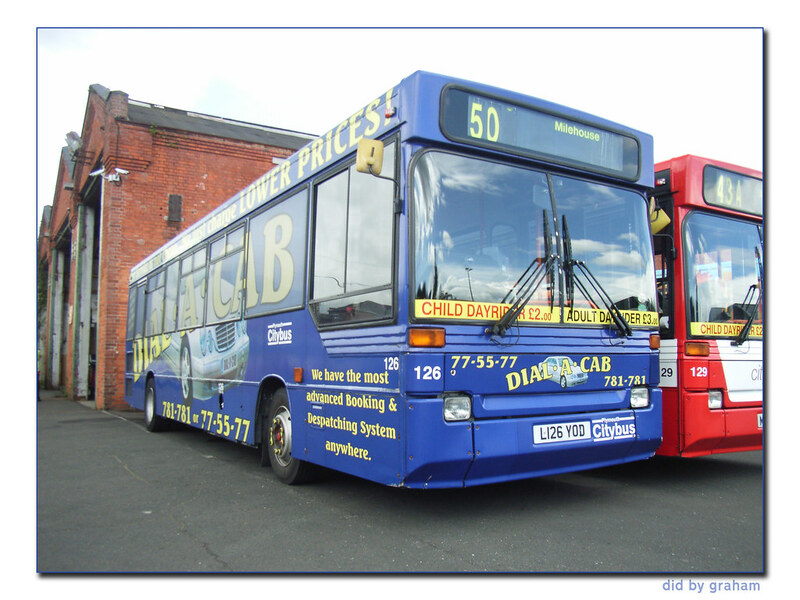 The bus left Plymouth and was used in service in this blue advert livery for Dial-a-Cab. Sadly one Dart isnt going to gets its five minutes of fame this year as the planned transfer of a Citybus Dart to Southern Vectis is not now going ahead. A larger bus from elsewhere in the group is now up for that little number. When driving past Plympton fire station the other day, I noticed there is now a dart parked just behind their wall, painted dark blue. From the glimps of the registration I saw it appears to be ex Citybus 125....Any idea if this is correct?? yes - 125 is the bus in question. 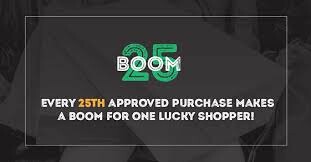 I am still trying to get a photo of it - or find someone else who has one! I believ it was with the police rather than the fire brigade but is kept there.